Who’s around the horn these days? For the past six years, the Baltimore Orioles had an infield full of household names. From left-to-right was Manny Machado, J.J. Hardy, Jonathan Schoop and Chris Davis. You couldn’t walk ten feet at Oriole Park at Camden Yards without seeing one of those names on someone’s back. Hardy retired after the 2017 season. Machado was traded in July last year and Schoop was dealt shortly after. The only name on the infield remaining from the Buck Showalter led Orioles is Davis. You usually don’t hear his name mentioned without some type of snarky comment directly after though. I also feel like we’re seeing less-and-less Davis shirts and jerseys these days. Maybe the number 19 isn’t as popular anymore? The Orioles acquired former first-round draft pick Tim Beckham at the trade deadline in 2017. He became the everyday Shortstop on August 1 after Hardy went down due to a broken wrist. 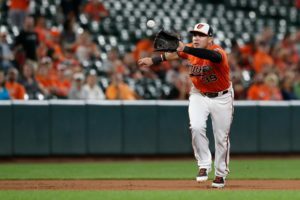 Machado slid over to Shortstop – his natural position on the diamond – after Hardy’s retirement and Beckham then moved to the hot corner to start the disastrous 2018 season. His tenure at third base didn’t last long though. Beckham was moved to Shortstop after Machado was dealt to the Los Angeles Dodgers. Overall, 30 different players found themselves at different positions on the infield last season. From Danny Valencia to Renato Núñez and Engelb Vielma to Corbin Joseph, we were treated to a much different infield alignment than what we had come to know and love. If the Orioles were to label time periods for their infield defensive alignment, you’d think we were in the PM era. That’s, post Machado, not Post Malone. To open the 2019 season, Roster Resource projects there to be just 0.167 years of service time on the left side of the infield. Third base will belong to Núñez, who appeared in 60 games as an Oriole last year, 59 at the hot corner. His .275 batting average was third best on the team among hitters with 200 at-bats. He made seven errors in 129 chances and finished the season with a range factor of 2.07 per game. That’s .54 lower than the league average at third base. Richie Martin, 24, was plucked out of the Oakland Athletics organization in the Rule-5 draft and is projected to start at shortstop. He’s dealt with some injuries throughout his minor league career but showed promise last season with Double-A Midland. He hit .300 over 453 at-bats with six home runs and 42 RBI. After being drafted in the first round in 2015, Martin has enjoyed the majority of his playing time in the minors at shortstop. Last season with Midland, he started 96 games committing 16 errors in 437 chances. Jonathan Villar, acquired in the trade for Schoop, could very well be penciled in at second base this season. 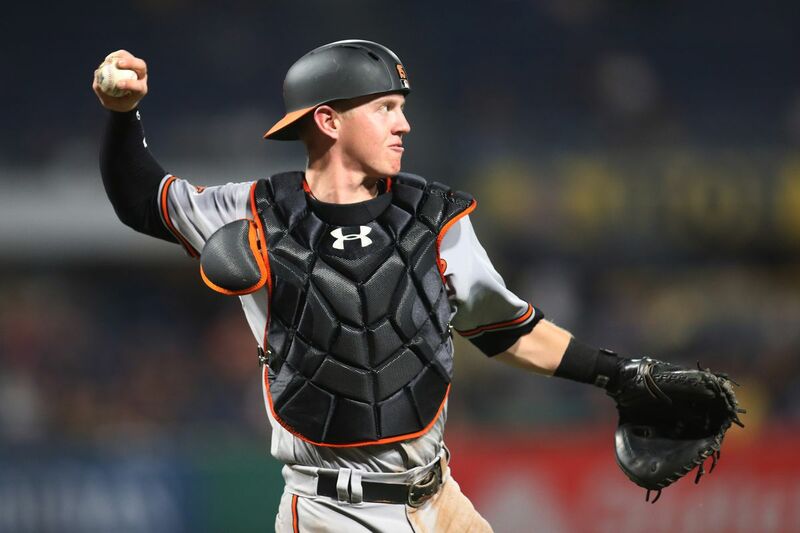 Defensively, he muffed just two balls in 142 opportunities at second and his 4.1 range factor per nine was consistent with the league average of 4.12. 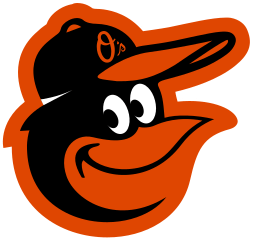 The Orioles selected two Rule-5 players in December’s draft and received one via trade from the Philadelphia Phillies. Martin was a selection, but the trade was to receive infielder, Drew Jackson. Jackson is projected to be a part of Brandon Hyde’s bench to open the season. Last season with Double-A Tulsa, Jackson hit .251/.356/.447 in 103 games. First base coach and infield instructor José Flores is loaded with young talent to work with. I personally can’t wait to talk to him later today to hear how excited he’ll be to work with all these young guys. Nuñez is 22, as I mentioned Martin is 24, Villar is 27, Jackson is 25. Within the next few seasons, the Orioles will hope to debut Ryan Mountcastle, who turns 22 next month. They’ve also got depth in Vielma, 24, Steve Wilkerson, 27 and Zach Vincej, 27. The youth movement in the organization has taken over. Should the Orioles deal Harvey? While I wish all the new coaches best of luck, I was disappointed the organization did not lock up Dickerson. The Phillies plucked a gem. The job he did with Nunez in just a couple months was nothing short of incredible. It’s also a testament to Nunez’ work ethic. Like the aquision of Villar, and a couple pitchers stepping up; Nunez’ improvement was one of the few bright spots in the 2018 debacle.